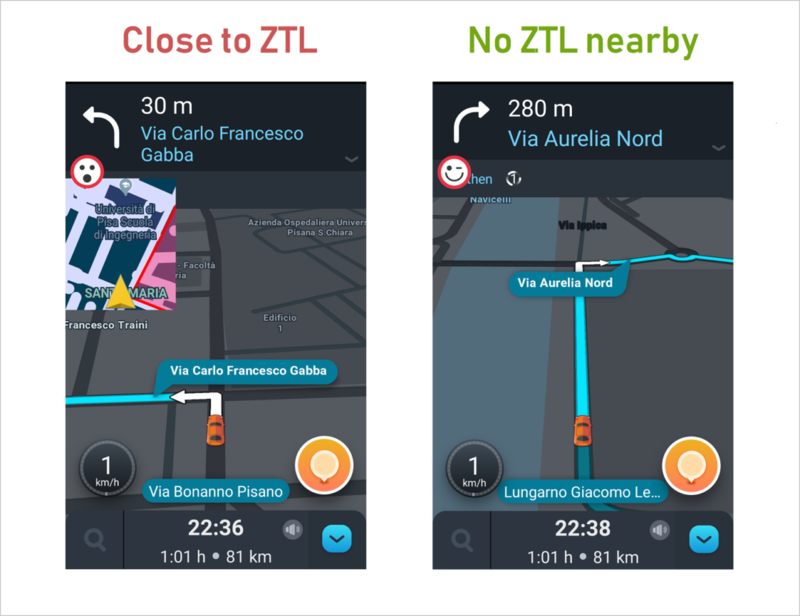 How to avoid ZTL in Italy- there is a mobile app for that! We did a lot of research before we went on our road trip to Italy. 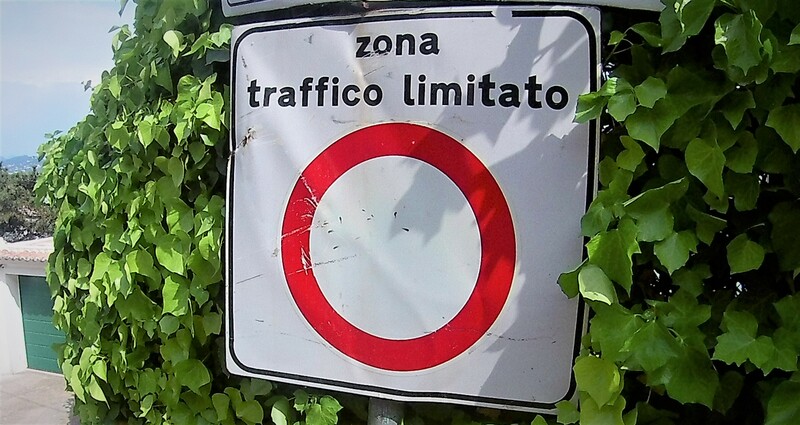 We noticed that almost every article warned you about driving into ZTL zones in Italy. These articles indicated that you will get automatically fined because the cameras will take a picture when you are entering into the limited traffic zone. But still, at the beginning of our trip, we were a little worried, but not too much. We believed that the ZTL zones are quite well indicated and easily avoidable. Well … it was not quite as easy. When we arrived in Italy, we became more worried about it every day. At home, when we did our research, most signs that warned about ZTL, were similar to this. In our second day in Italy, we were going to Venice . Since we were staying in Cornuda, which is approximately 70km from Venice, we were driving through a bunch of small towns on our way to Venice. In those small towns, we passed a lot of signs that looked similar to those ZTL signs. We weren’t anymore sure about anything. 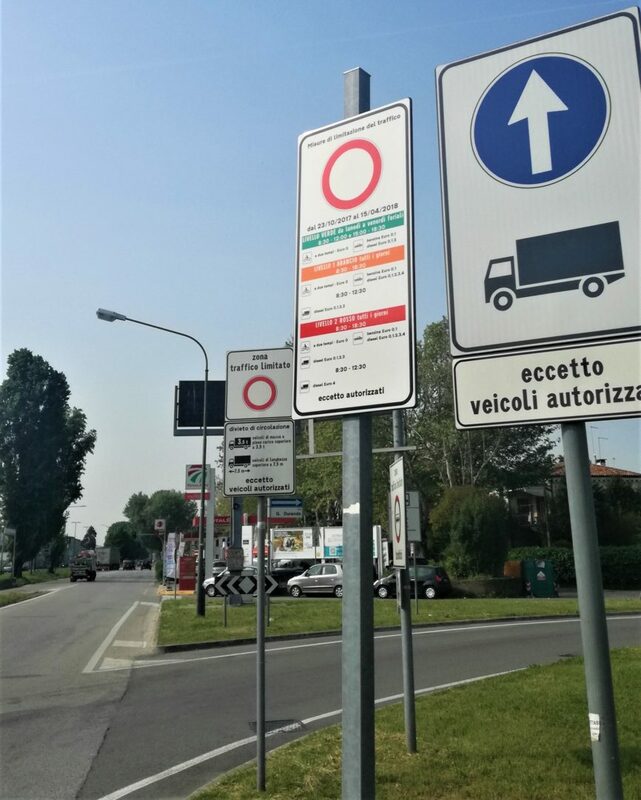 Once we arrived in Mestre (we left our car there and took a train to Venice, you can read more about Venice and free parking in Mestre from here), we saw these signs and got really confused. Here is the thing- ZTL does not always mean that there is also a camera nearby. Mostly it’s just regular traffic sign. Camera enforced ZTL-s are more for historic old towns and city centers. At first fright, we stopped our car on the side of the road. Since we were afraid of getting automatically fined we looked around for cameras. But we didn’t see any. So we studied signs a bit closer. ZTL for trucks and buses were understandable- fair enough. What confused the hell out of us was “Misure di limitazione del traffico”. It looks like a ZTL sign, but it’s not. All the exceptions are hard to understand for foreigners at first glance. We did enter the area anyway and hoped the best. It turns out that those exceptions seemed to be for some kind of emission control and only effective when such condition is called out. This is regulated by air quality and if it’s getting bad- orange or red alert will be called out. Green is by default. Feel free to comment on how this works- we still don’t understand fully how the alert is given. Since our budget didn’t fit ZTL fines from every town in Italy, we made ourselves a goal to figure out a better way to avoid ZTL-s. At this evening, when we went back to our apartment in Cornuda, we googled for a better solution. We found some city maps were the limited traffic zones was marked. But first- we are in the 21st-century!! And second- we didn’t have a printer there. We refused to believe that there aren’t any technical solutions for that. We found out that there are plans to implement ZTL avoiding function to Waze but there isn’t one yet (or at least it wasn’t available at that time). And finally our hard work was paying off- we found a ZTL mobile app called ZTL Radar!!! We couldn’t believe our luck! You can download it from here: https://apkpure.com/ztl-radar-for-maps-and-navigator-whole-italy/com.ztlradar2017.app We found it from the Play store, but it seems that it is not available there anymore. You can use ZTL Radar app with Waze, with google maps or with maps.me. We mainly used it with Waze (since we already used Waze anyway). You can set a radius how far from ZTL you want to get warnings. When you get too close to an area, a small window will pop-up, where it shows ZTL in red, and you can avoid driving into that area. Of course, you can print ZTL maps for every town you plan to visit (if you can find them), or you can just hope that you will see the ZTL signs on time, but it is nice to know that you can have a little extra help on the hand of ZTL mobile app.